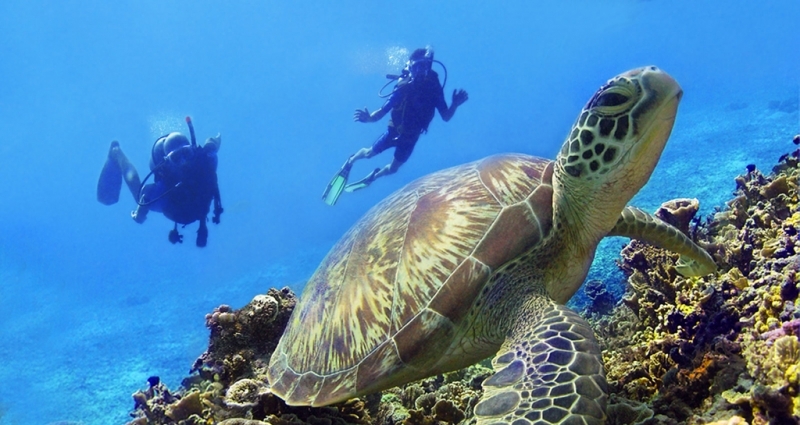 Divers from all over the world come to experience the warm and clear idyllic waters of the Gili Islands. Whether you‘re a first time diver or an extreme technical diver there are a multitude of centres that can plan just the right dive for you. There are reefs, slopes, wreck and depths on offer to visit here. There is also an abundance of wildlife including turtles, manta rays, reef sharks, morays, multiple species of colourful fish, and if you’re extremely lucky- whalesharks or the elusive mola mola! Every diver contributes a “reef tax" which is included in the cost of their first dive and goes towards the NGO Gili Eco Trust- a conservation organisation in the Gili Islands who implements projects such as coral reef restoration biorocks.